Platinum Freeform J-Hoop earrings. Earrings measure 13.3mm in length by 9.11mm wide and weigh about 3.50grams. Our price is for the pair. Platinum is naturally hypoallergenic, a luxurious choice for anyone allergic to Gold. 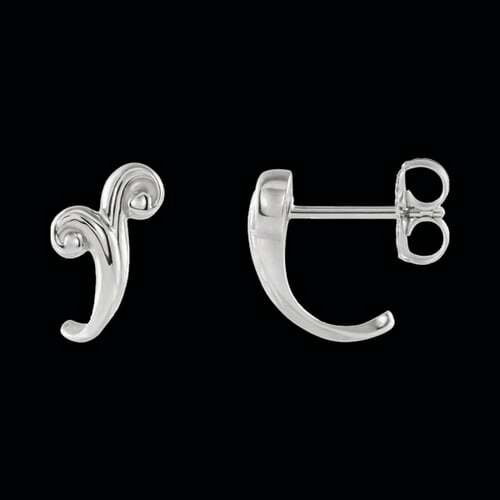 Our posts and backs of course are also Platinum on these and all the earrings in our Platinum Earring collection. Check out our video although shown in gold you'll get a good idea of the detailing.